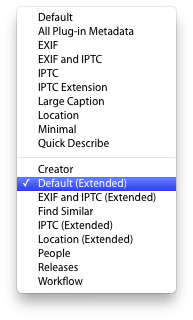 Select the drop down list showing available tagsets (depicted above). Choose one of the new tagsets at the bottom of the list. 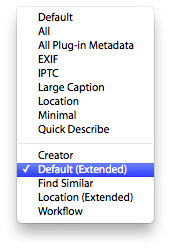 For example, the Default (Extended) tagset. The list of tagsets to choose from will vary depending upon the version of Lightroom being used.